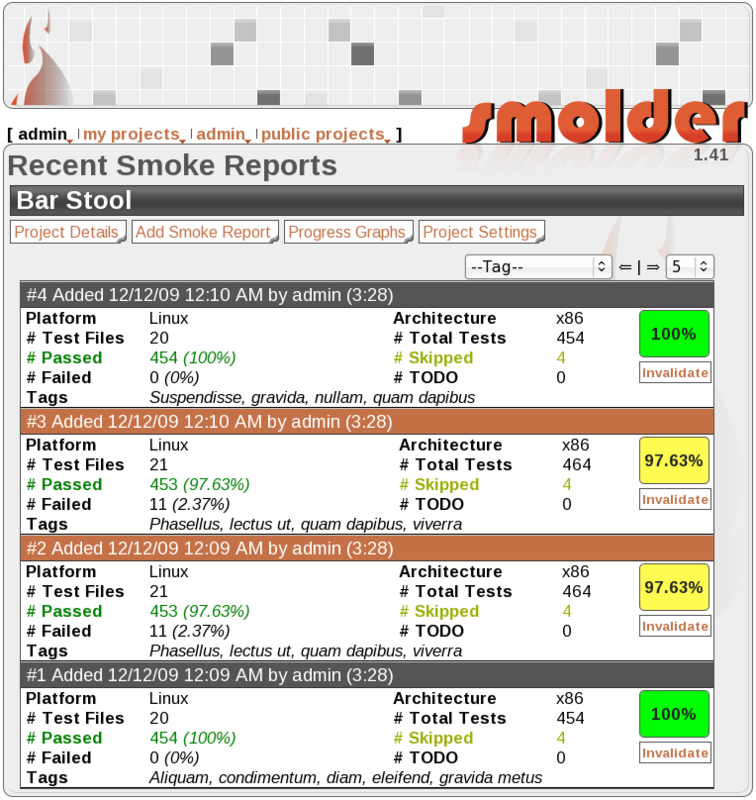 Smolder is a web-based continuous integration smoke server. It's a central repository for you smoke tests for multiple public and private repositories. Please see Smolder::Manual for how to use it. Smolder has it's own built-in HTTP server (Net::Server) and database (SQLite). Smolder uses TAP and TAP Archives as it's reporting format. See Smolder::Manual for more details. Smolder can notifiy you of new or failing tests either by email or Atom data feeds. Use Smolder for your public open source projects, or for you private work related projects. 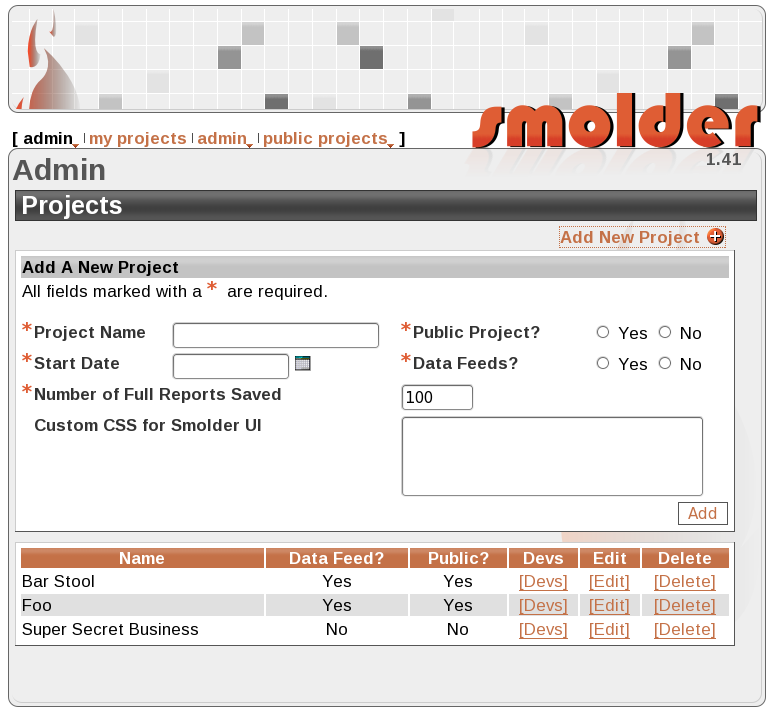 Smolder can host multiple projects of each type. Smolder has graphs to help you visualize the changes to your test suite over time. See how the number of tests has grown or find patterns in your failing tests. You can organize your smoke reports by platform, architecture or any tag you want. This makes it easy to see how your project is doing on multiple platforms, or with different configurations. Copyright 2009 Michael Peters, all rights reserved.